Optimized for a perfect connection and reduced waiting times, Skycontroller is safer and suitable for long distance flights. 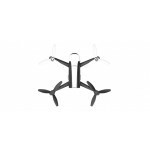 You have a reliable wireless link designed specifically for the Bebop 2, allowing connections to short or long distance, strengthening interoperability with tablets or smartphones. Take control of Bebop 2 using two extremely precise joysticks that control the UAV very intuitively and angle of the camera, and navigate through the interface of the Application 3. Take Freeflight pictures and record video at the touch of dedicated buttons. 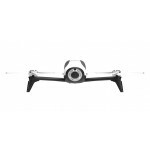 All features of Bebop 2 are achievable with the tip of your fingers. During the flight, you receive mulitples data in real time, accompanied by sound alerts, useful for more precise steering. Discover the "Where is my Bebop" that identifies how far and how high is the drone against the driver. With its integrated GPS, the Bebop 2 returns automatically to the driver or by pressing a specific button and easily accessible. 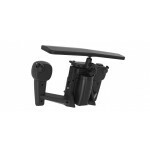 The 10 keys Skycontroller and 4 sticks are fully customizable to suit the requirements of the driver. The Parrot software is "open source", to allow developers to extend the functionality of Skycontroller. 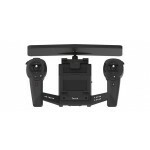 The Skycontroller is also compatible with the FPV for a more innovative and immersive flying experience. The application FreeFlight Skycontroller 3 and are compatible with the FPV goggles with HDMI input (not included). The pack Bebop Skycontroller 2 and includes a foldable visor and a neck strap. 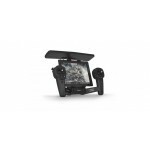 The sunshade enhances the feeling of immersion because it eliminates reflections of the sun on your piloting device and allows you easy access to your tablet. The neck strap ensures a good balance of Skycontroller on your shoulders and requires less effort, so you can focus more on driving. 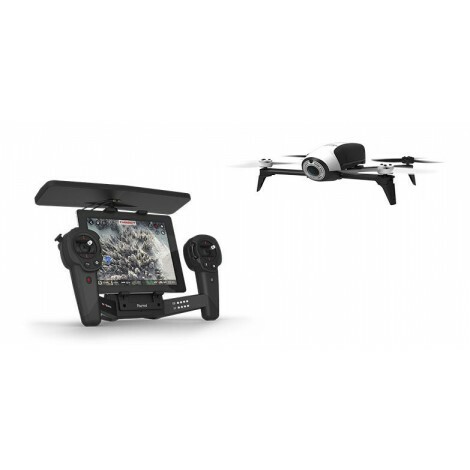 To prolong the experience, 2 batteries, 1 charger dedicated, and a plastic adapter to accommodate other tablets come with your drone.